We have in our range POLYCAB FINOLEX make of coaxial cables suitable for high frequency equipments and systems for transmissions and ;reception purpose.These cables are suitable for impedance of 50 to 120 OHMS. The conductor of these cables are plain copper/tinned copper/copper clad steel and silver plated with solid / foam or semi air spaced insulation These cables can be supplied with PVC/ HR - PVC / FRLS PVC or P.E. outer sheating. 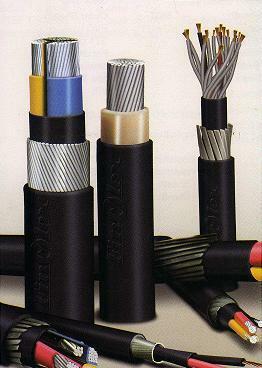 These cables are generally manufactured to IS standards, British standards and American military standards. We are counted among the most established manufacturers and suppliers of Electric Panels. Our products are well-known for their features such as high performance, low maintenance and durability.